Tokyo has always reminded me of a cleaner, more vibrant Blade Runner. This is no surprise when you consider that the Kabukicho district of Shinjuku is said to have inspired the set for the film. But it’s not just the glittering lights and high-rise buildings of Japan’s city that never sleeps that reminds me of Blade Runner; there’s also Japan’s love of robots. From the life-size Gundam robot on Tokyo’s man-made island of Odaiba to the famous Robot Restaurant, robots are at the heart of much of Japan’s popular culture, and they are increasingly entering into everyday life for Japanese locals. Although Blade Runner’s ‘replicants’ might still be a few years away, Japan has embraced the use of robots in so many interesting ways, not least how they’re incorporating them into the care of their aging population. A quarter of Japan’s population is over the age of 65, and with a low birth rate and very little immigration, this presents some serious challenges. 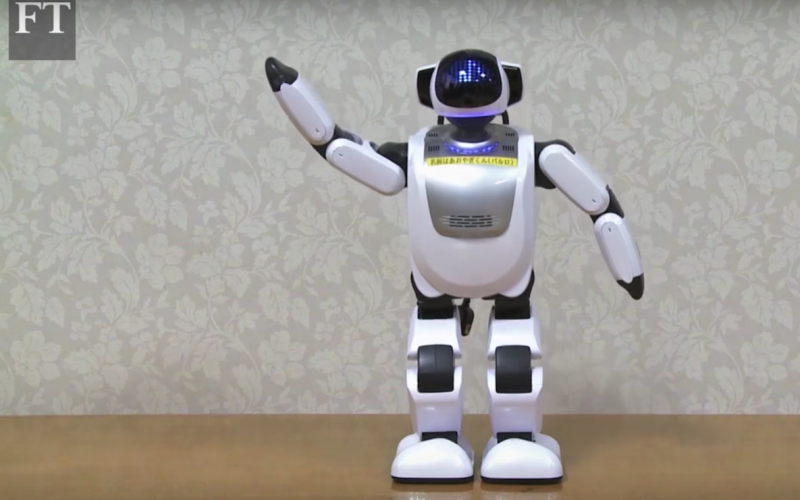 The Financial Times has filmed a fascinating documentary on Japan’s approach to robotic solutions called The Soft Side of Robots – Elderly Care. Should a robot provide emotional support for the elderly? There are certainly ethical as well as technological issues to consider when it comes to robots caring for the elderly, but it’s hard not to want your very own baby seal robot that dislikes people touching its whiskers! Click here to find more articles relating to robots and artificial intelligence on the Financial Times’ website. Disclosure: This post was sponsored by the Financial Times. All opinions are my own.